Mar. 19, 2016 5:00 a.m. The Department of Fisheries and Oceans has issued a letter, under the Fisheries Act, to the property owner who is clearing land along Moore Road in the Cherry Creek area. The letter, according to Carrie Mishima, DFO communications advisor, is directing the landowner to take immediate action to protect fish and fish habitat in Cherry Creek and tributary. “The landowner is directed to cease discharge of sediments into Cherry Creek and to stabilize exposed soils along Cherry Creek and the tributary,” Mishima said. Mishima said that heavy rain can wash these materials into a creek and that the DFO is continuing to assess the situation to determine what further action may be required. The investigation began several weeks ago after the DFO received a report of “possible non-compliance” with the Fisheries Act related to “works in the Cherry Creek area,” Mishima said. 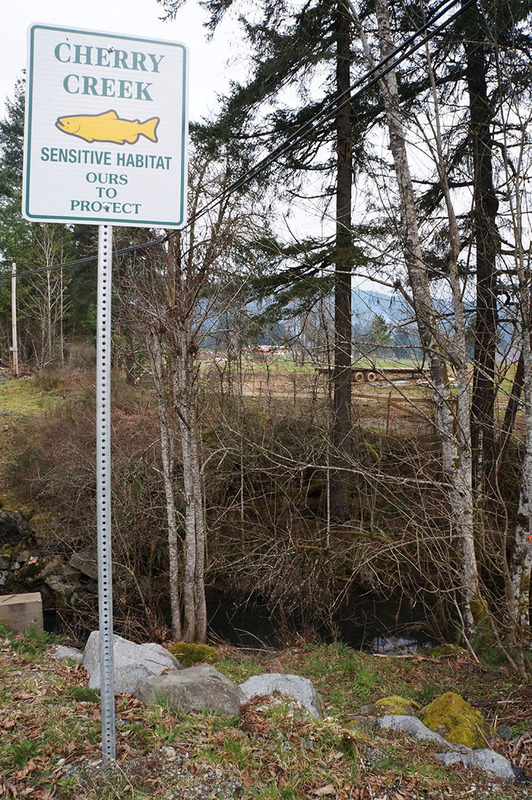 Alex Dyer, Alberni-Clayoquot Regional District planner, said he hasn’t heard any updates on development or perrmit applications from the landowner. “As far as I know he is land clearing for an agricultural operation,” Dyer said.